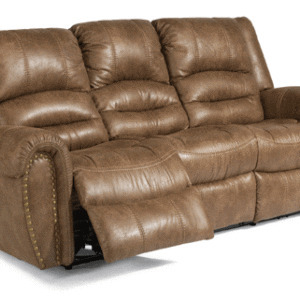 Take a seat flanked by pillow-padded arms adorned with large nailhead trim detailing. Automotive-inspired bucket seats provide sink-in comfort, and a power reclining mechanism lets you change angles effortlessly from an upright to a fully reclined position with the touch of a button. Downtown’s relaxed refinement makes it a spot you’ll return to again and again.